After a little bit of faffing around, I finally have my Uniqlo Save Japan! T-shirt! 😀 The T-shirts were launched in June, and I decided to stay up for the 1am launch to ensure that I got the T-shirt I wanted. There are ten different designs, all designed by famous people (Lady Gaga, Nicole Kidman, Victoria Beckham, Cyndi Lauper, Orlando Bloom, Karl Lagerfeld, Charlize Theron, Blake Lively, Gwyneth Paltrow, and Alber Elbaz). I wanted to get the Lady Gaga one. 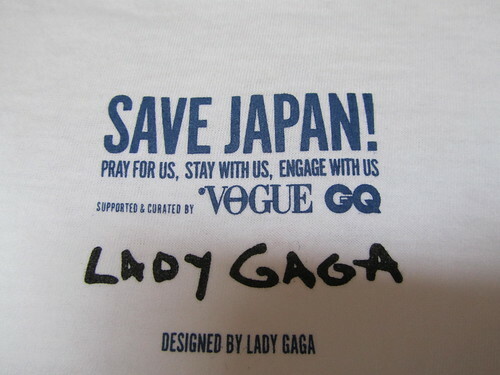 The ordering process was smooth, and I went to bed feeling happy that I was helping Japan and going to get a cool T-shirt designed by Lady Gaga. A few days later my T-shirt arrived and I ripped it open in excitement… only to discover that they had accidentally sent me a Blake Lively T-shirt! The Blake Lively T-shirt was very nice, and I really liked the design, but I had wanted the Lady Gaga one (actually, I’m not even sure who Blake Lively is…). So, I contacted Uniqlo by email (you can’t phone them) and explained the situation. They replied quickly and were very efficient, saying that I could return the unwanted T-shirt and they would find me a Lady Gaga one even though the online store had sold out. Today, my Lady Gaga T-shirt arrived! 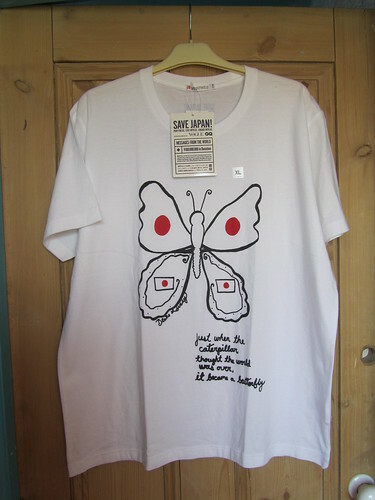 There are still some T-shirts left on the Uniqlo website (and presumably in store, too), so why not treat yourself? 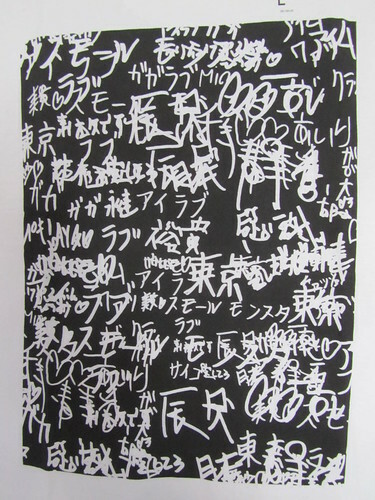 The “SAVE JAPAN!” project was established immediately after the Great East Japan Earthquake to support the affected parts of the country by providing information on area-specific relief efforts. UNIQLO is working with the Condé Nast Group—a supporter of the “SAVE JAPAN!” project and the publisher of VOGUE JAPAN and GQ JAPAN—to create T-shirts featuring messages of encouragement from artists around the world. 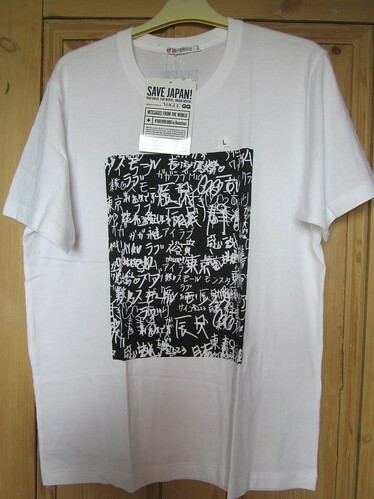 UNIQLO will donate the profit of approximately 100 million yen (Approximately £750,000) to the Japanese Red Cross Society through the sale of these T-shirts at its stores around the world, to back recovery efforts in northeastern Japan. Cool T-shirts. I have loads of respect for Gaga these days and I always loved Uniqlo. Great blog Ali!